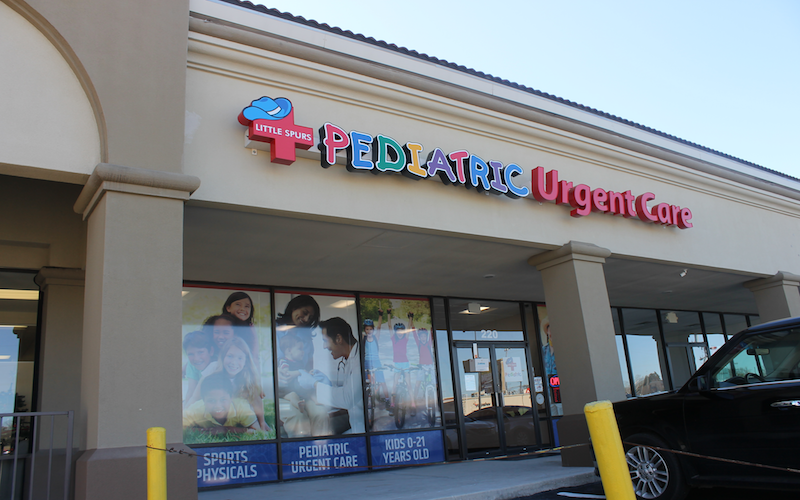 Recognized favorably amongst their patients, Little Spurs Pediatric Urgent Care, Austin Highway has an average rating of 4.9 stars out of 5 based on 134 total ratings. Staff is amazing from Front desk to Erik the nurse he is always amazing with my boys the nurse practitioner was great explained it all and made my son feel so comfortable through his check up. The doctor and lady at the front desk were great but the nurse wasn’t. My 2 year old daughter wasn’t feeling good and so she wanted me. She had to weigh us together and then me separate my daughter was pushing me because she wanted me. The nurse had the nerve to tell my daughter to behave. She kept telling her you’re fine and when she went to take her oxygen my daughter freaked out she was very rude about it. My daughter is 2 and isn’t comfortable with going to the doctor. She could’ve acted a lot better. We go here often and I’ve never had someone act so rude for her. If she doesn’t have patience for kids then she shouldn’t be there. This was our 2nd visit ,1st was great. Second visit was just amazing. Very clean and all staff were nice and respectful. Doctor Sheila was so sweet and mad she it comfortable for my son. The front desk and nurse were also so kind! Best urgent care around! Staff is always attentive friendly and caring!! 5 stars and more!! Dr. and Staff were Professional, personable, kind. Service at this facility was quick. Thank you for taking care of my grandbaby. May God Bless you and yours. They are the BEST!! It is always very clean the staff is absolutely AMAZING!! When you child is sick this is the best place to take them, they are definitely much faster than the pediatricians office!!! It's unfortunate that this flu season has not been nice to my kids but coming to Little Spurs Pediatric Urgent Care makes tolerating it more easier!..They are awesome and I couldn't ask for better service! I love it there! All the staff is amazing! But my boys seem to favor the front office receptionist Michelle! They run to hug her even while feeling sick.